Seven countries, four languages, two seas, and one outstanding European adventure. Europe Coast to Coast takes you through the heart of the continent on a journey rich in culture, history, and natural beauty. From the coast of the North Sea near Amsterdam, Holland to the Adriatic Sea and Italy’s most majestic and mysterious city, Venice, biking Europe Coast to Coast is an explorer’s dream. You’ll pedal past rural Belgian & French villages seemingly untouched by time, sample croissants in Paris, ride through Germany’s Black Forest, and challenge yourself up and over snow-capped mountain passes in Austria. This stunning adventure is a chance to get to know yourself, your trip mates, and Europe like never before. Our group will gather in Amsterdam and spend a first night in the ancient Dutch city of Haarlem before picking up the well-traveled Nordzeeroute bike route. This protected, coastal path winds its way along the coast of the North Sea for nearly 300 miles, past windmills and over dykes. We’ll make our way through charming Dutch and Belgian towns and cross the border into France. Once in France, we’ll ride quiet country roads through small villages, enjoying the many delights of rural French life along our way. We’ll continue south to Chantilly on the outskirts of Paris and take a train in to spend a day exploring the City of Light. From Paris, we’ll continue east through the vineyard covered hills of the Champagne region, into the verdant valleys of Alsace-Lorraine, and then on to Strasbourg, where we’ll spend another day off of the bikes exploring this fascinating, ancient city. 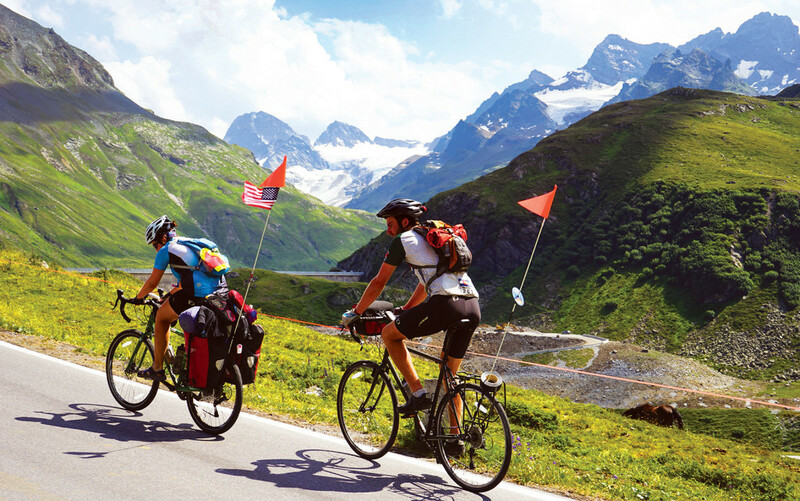 Back on our bikes, we’ll cross the Rhine River and follow Germany’s outstanding network of bike paths through the charming Black Forest to the shores of Lake Constance, also known in Germany as the Bodensee. We’ll look across this famous lake to the snow-covered peaks of the Alps – the next leg of our journey together. Leaving the Bodensee, we’ll start our climb into and through the Austrian Alps. Shortly after skirting the Swiss border, we’ll cross into Bella Italia and begin our downhill descent towards the warm waters of the Adriatic Sea. Upon arrival, we’ll put our bikes away and spend our final days together exploring Venice, one of the world’s most beautiful and mysterious cities. Europe Coast to Coast. An international adventure giving you the very best of Europe and memories to last a lifetime. How physically challenging is ECC? 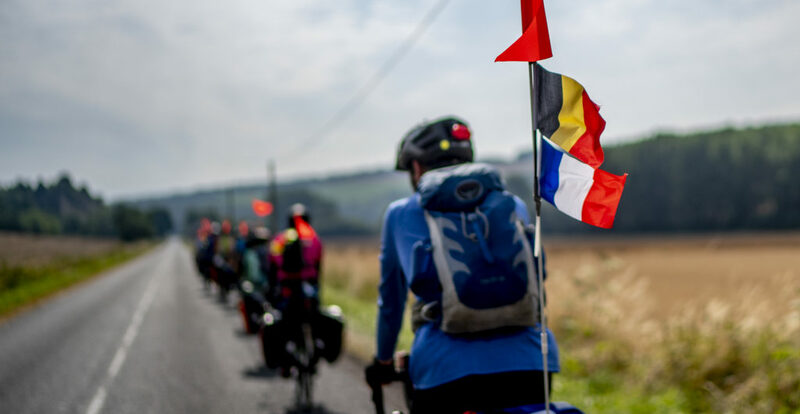 Given a rating of Challenge Level 9 (out of a maximum of 10), we consider ECC to be an advanced cycle-touring trip. We do believe that any moderately fit, motivated student, who trains ahead of time, can successfully rise to the challenge of this trip. Compared to similar cycling trips, we believe that ECC is more challenging than Pacific Coast (due to trip length, added mileage, and more challenging terrain), but easier than America Coast to Coast, our most challenging cycling trip. ECC will average 50-60 miles per riding day, but has several challenge days that will include rides of approximately 80 miles. Please note that all of Apogee’s Challenge Levels are not scientific and are subjectively calculated by the Apogee staff. Apogee tuition costs are meant to be all-inclusive and include all meal, accommodation, and activity fees. The most significant additional expenses on our Europe Coast to Coast trip will include travel to Amsterdam for the trip start, and from Venice at trip end; a sleeping bag and sleeping pad; a touring bike and panniers; and baggage fees associated with flying with your bike. Apogee has waterproof panniers available to rent for the trip for $100. Does this trip require a touring bike? Yes – ECC is one of two cycle-touring trips (America Coast to Coast is the other) Apogee offers that requires students to bring their own touring bikes. For a number of reasons, including familiarity and comfort while riding, we want students participating in these two challenging trips to spend their spring training on the bikes they’ll ride during their trip. Please call our office with any questions regarding the suitability of your child’s bike for this trip. Parents can expect their ECC student to home four times over the course of the trip, usually corresponding with the group’s rest days. Students on international trips will also call home at some point on arrival day, depending on schedules and arrival times. Should I send my child with a European phone plan? We encourage families to send their child with a phone for pre- and post-trip communication. However, because Apogee does not permit the use of cell phones by students while on trip, we do not recommend signing up for a European phone plan. 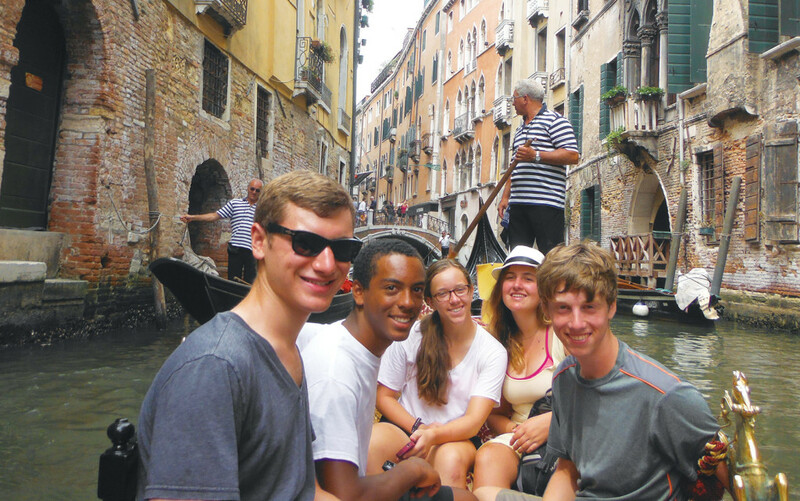 If you’d like your child to be able to use their phone in Venice on departure day, we recommend you be in touch with your phone provider about any international calling programs they have. We recommend “Travelpass” (Verizon) or “International Day Pass” (AT&T), which charge you a $10 fee per day of use in other countries. To make their weekly call home while on trip, your child will use their leader’s phone to call you over WiFi. We’ll likely recommend parents download a free app, such as Viber or WhatsApp, to facilitate calls home. Look for this information in the spring. In addition to needing a valid passport, we encourage you to coordinate travel with other attendees. To that end, we’re happy to put you in touch with other enrolled families from your region. Please note that Apogee staff members do not travel with students; our trip leaders will already be in Amsterdam on arrival day and will stay in Venice after the trip ends. Apogee staff and trip leaders will have a detailed flight itinerary for each student and will be at the airport to greet them on arrival; our staff will also accompany students to the airport to assist with departures. We will provide enrolled families with a Travel Information document covering details specific to traveling to and from Europe, including airport information and arrival and departure time windows. We know that international travel can be daunting – rest assured that regardless of flight cancellations or delays, we will always have someone on hand to assist with our students’ arrivals and departures. What luggage should my child check on the plane? What should be carried-on? This question is addressed in detail in our Equipment List document for enrolled students. Generally speaking, however, your child will be checking their bike and a soft-sided duffel containing the majority of their gear, while carrying-on their personal effects, sleeping bag, and bike helmet. Yes. While all of our bike trips are self-supported – meaning that students and their leaders will carry their clothing, cooking gear, etc. on their bikes – Apogee maintains a dedicated support staff member and vehicle on our Europe Coast to Coast trip to provide assistance in the event of medical or mechanical exigency. The trip length says 29 days, but the dates span 30 days; why is that? We plan to run two sections of Europe Coast to Coast, separated by one day. To maintain an equal balance of students on each trip (and an equal gender balance), we ask that you keep the entire 30 day span free until we assign you to one of two sections (June 29th to July 27th, or June 30th to July 28th). We will let you know which section you’ve been assigned to by no later than March 1st. The group will be camping at established campgrounds for most nights on the trip, but will spend one rest day indoors in a hostel in Paris, and the final two nights of the trip in a hostel in Venice. Leaders will separate students by gender into tent groups, and will rotate those groups several times over the course of our trip. Students will share a tent with one or two other students.